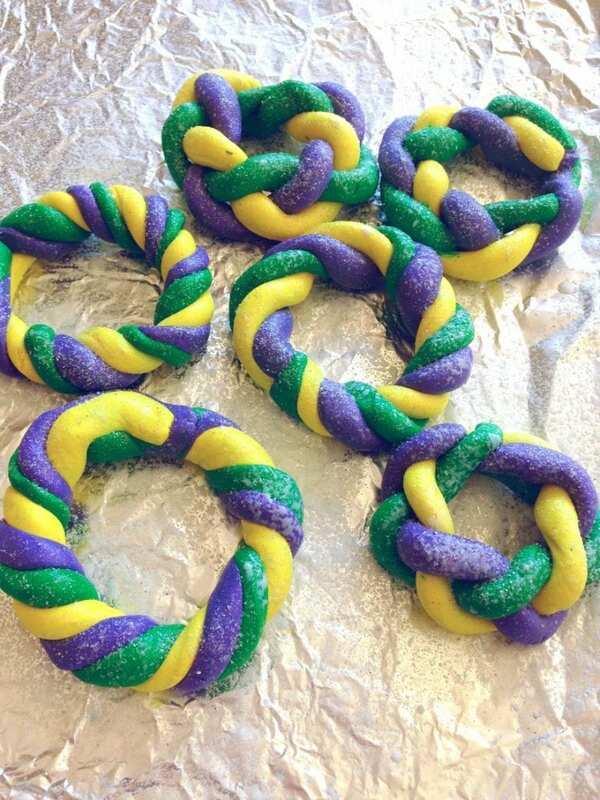 It’s King Cake season, today is Three Kings Day as a matter of fact. 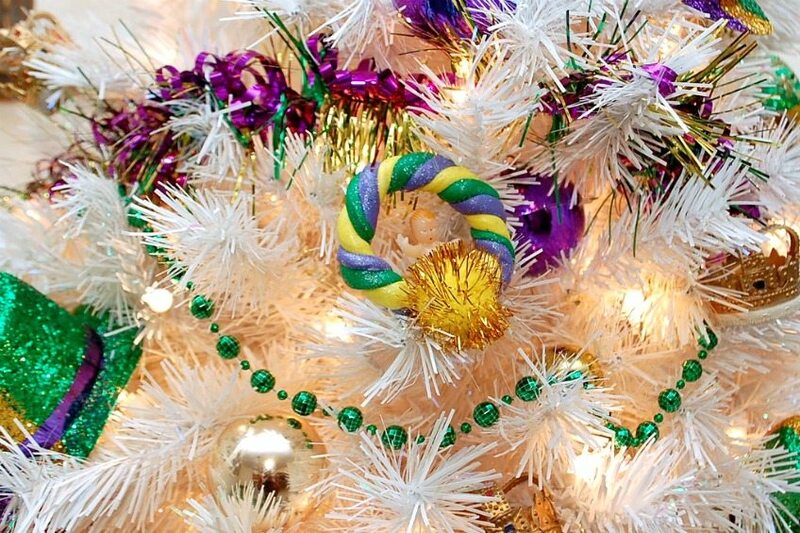 That means Mardi Gras is on the horizon and it is time to start thinking in gold, green and purple. 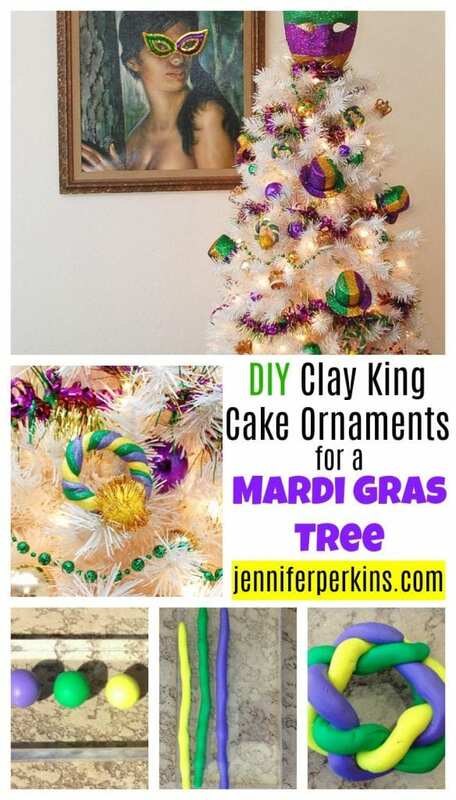 Planning to decorate a Mardi Gras tree, well guess what I have a DIY King Cake ornament that would be perfect. 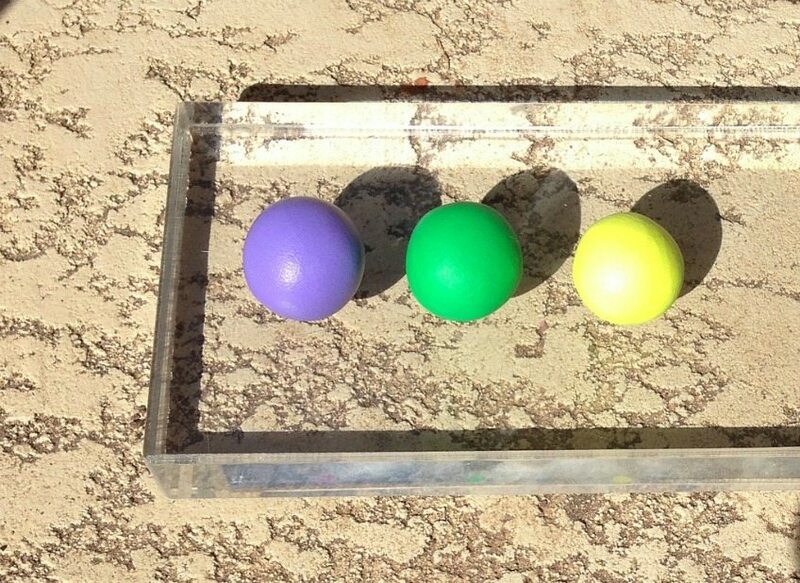 Just because you don’t live in New Orleans or plan to flash anyone for beads does not mean you can’t appreciate some DIY Mardi Gras action. Have you ever eaten King Cake? It’s a festive treat to celebrate Three King’s Day involving a braided cake and tiny toy babies. Sounds like a great theme for a clay ornament to me. That ornament looks good enough to eat, but don’t. Instead put him on your Mardi Gras tree, hang him from your rear view mirror or add him to a strand of beads as a chunky pendant. I’ve been waiting for the perfect craft to use these plastic baby cake toppers on and I finally found it! 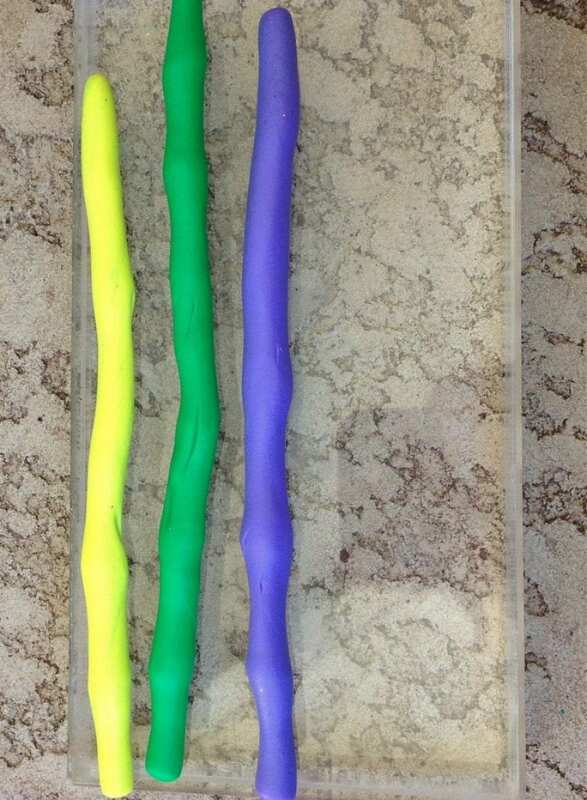 Roll clay into three snakes of even size for each ornament you plan to make. 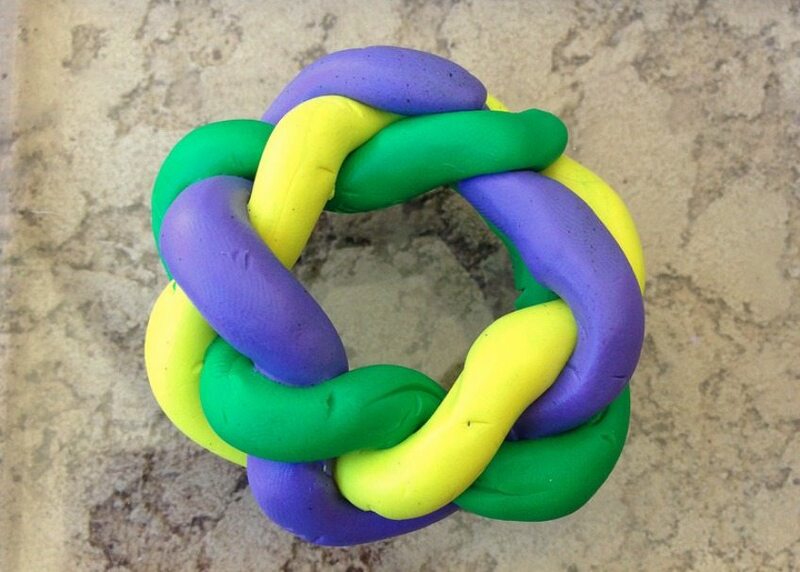 Braid the clay and shape into a circle. Bake according to manufacturers instructions. Afterwards coat with clear glue and sprinkle with glitter while the glue is wet. King Cake has chunky sugar sprinkles on it so the glitter should mimic that. Allow to dry. 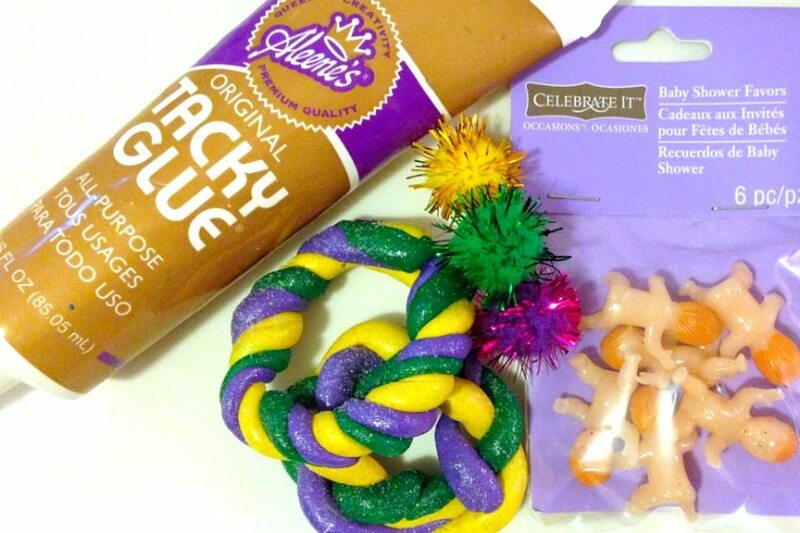 On each King Cake glue a pompom and small baby doll. Allow glue to dry completely. Attach a small piece of string for hanging. 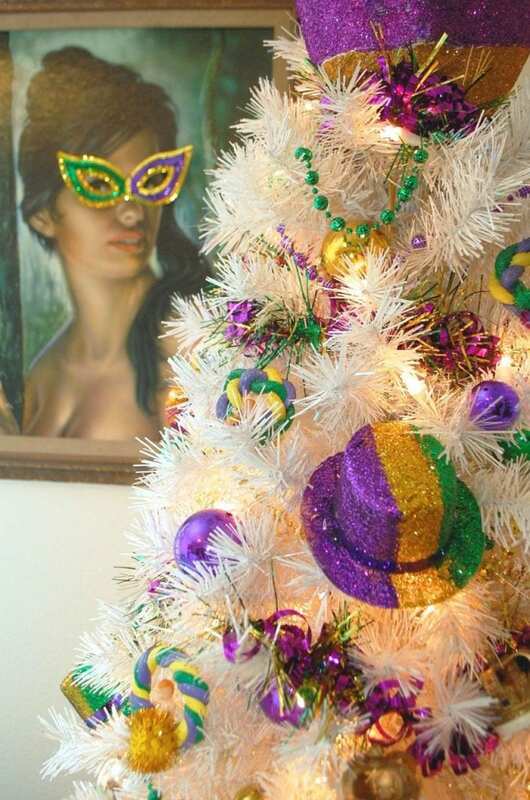 Look at that tree just busting at the seams with little Mardi Gras King Cakes. They are so easy to make you will want an entire tree full. I might still one to wear on a necklace come March! Now excuse me, I need to go eat some real King Cake. Yum! 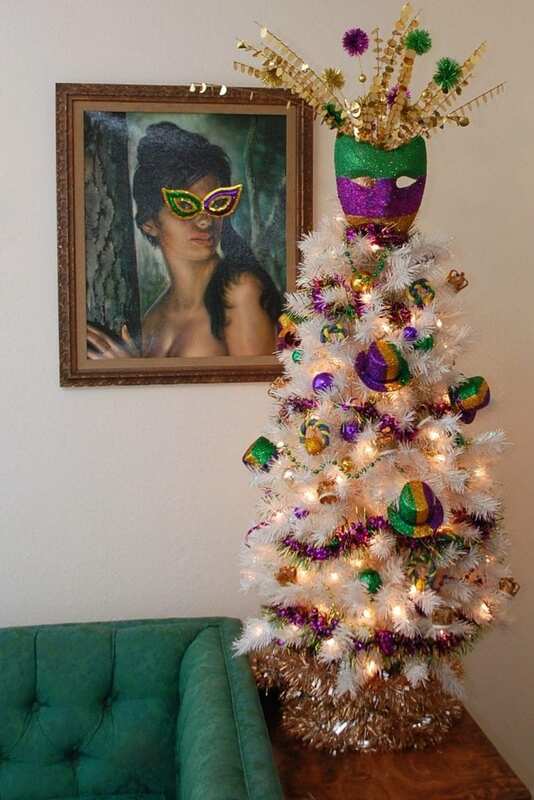 Want more Mardi Gras Ideas? Keep Reading. 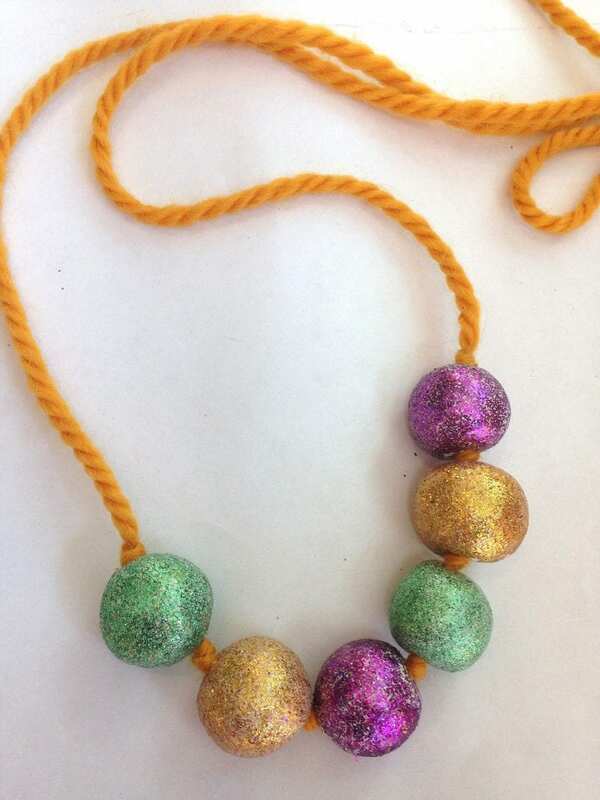 Kids Mardi Gras Beads – Let the kids get in on the beaded action this Mardi Gras with these easy DIY air dry clay beads in gold, purple and green. 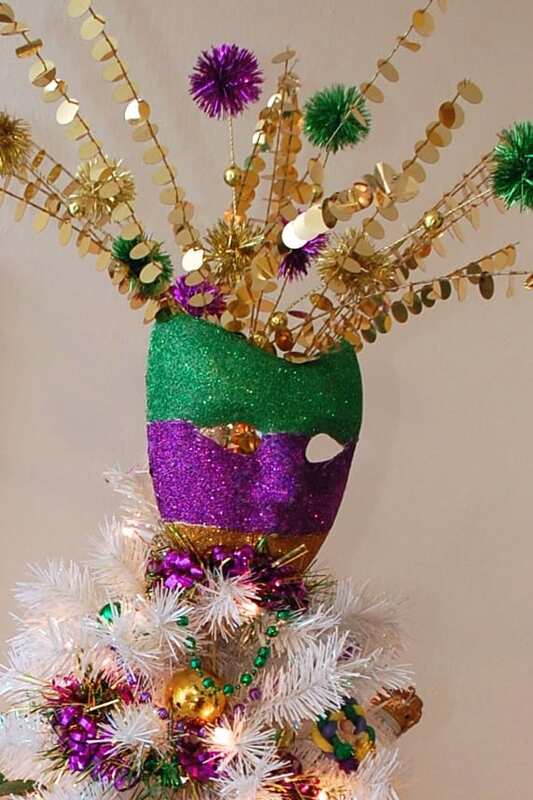 Glittered Mardi Gras Mask – Perfect to wear or as a Mardi Gras tree topper. Posted January 6, 2018 & filed under Holidays, Parties.